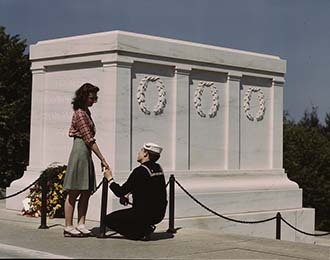 Arlington National Cemetery Tour - Coming Soon! Arlington National Cemetery is the most famous military cemetery in the country. More than 300,000 veterans of every American conflict all the way back to the Revolutionary War are buried here. From the Tomb of the Unknown Soldier to JFK’s Eternal Flame to the many famous gravestones, Arlington Cemetery should be near the top of the list for any visit to Washington DC. Open 7 days a week from 8am-5pm, the cemetery is located at 1 Memorial Drive, Arlington, VA 22202.